focus on what you do best… running your business! Does your business have a cyber security strategy in place? In today’s digital world, all businesses are l targets for sophisticated cyber attacks each and every day. Systematic attackers have endless resources devoted to developing innovative techniques to gain access to your sensitive data. Coupled with ever increasing regulatory requirements like DFARS clause 252.204-7012, NIST 800-171, HIPAA, PCI DSS, GDPR and state data breach laws business are exposed on multiple fronts. Cyber attacks and non-compliance with regulatory requirements willbring your business to a screeching halt! They devastate your productivity, compromise your sensitive data, harm your reputation, damage customer relationships, and lead to huge financial losses. With cyber threats and attacks rapidly increasing in volume and sophistication, the question isn’t if your security will be breached, but how prepared you are when the inevidable happens. Your business requires an advanced cyber security strategy to protect your data and other critical assets, and ensure your operational integrity. 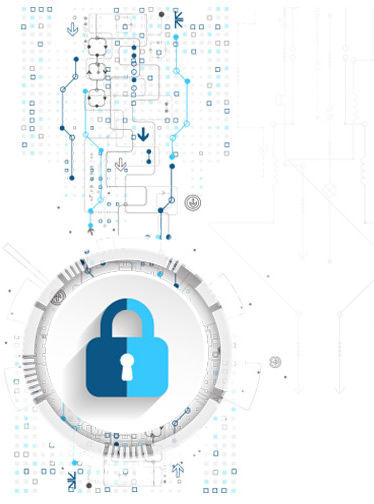 At CyberSheath, we provide your business with the highest level of premium protection from our state-of-the-art Security Operations Center (SOC) to safeguard your critical assets and ensure compliance with regulatory requirements. Our services enable you to “measure once, comply many” and allocate more resources to actual cyber defense. We utilize the most advanced intelligence monitoring system to prevent, detect and remediate threats and various attack methods before they can inflict costly damage on your business. Our comprehensive security platform delivers 24/7 continuous monitoring, enhanced intelligence, proactive prevention, early threat recognition, rapid response, removal of vulnerabilities, and much more. Partnering with CyberSheath is the most effective way to ensure your business is running with full operational security and compliance reporting. We transform your vulnerabilities and inefficient processes into an integrated security platform with real-time monitoring that effectively eliminates risks, threats and attacks. We’ll not only meet all your security expectations, we’ll exceed them. Managed Privilege Account Management Services to stop security breaches involving privileged accounts. We’ve distinguished ourselves as industry leaders by providing superior security services for some of the largest financial, defense, healthcare and technology companies in the world. We excel at understanding security in the context of company’s business objectives, which allows us to provide the most advanced solutions that suit your exact needs. Unlike other security companies, we do much more than simply “set it and forget it,” and then leave you to fend for yourself. Your business and data requires 24/7 vigilance and monitoring, along with regularly updating all systems. Our #1 priority is ensuring your business and sensitive date are fully protected from attacks and compliant with regulatory requirements We deliver exceptional customer service and provide the references to back that claim up. Unlike our competitors, we know “one size fits all” security solutions are doomed to fail. That’s why our security experts take the time to design a tailored security strategy based on your organization’s specific needs and goals. They assess your information processes, and technologies to identify weaknesses, evaluate your vulnerabilities, categorize security risks, and recommend improvements. CyberSheath’s 24/7 managed security services provide exceptional day-to-day operational security integrated with your unique compliance requirements for comprehensive, all inclusive protection. Our professional security team provides you with exceptional technical expertise and support tailored to your unique business requirements. We provide full assistance with all administrative tasks required for your success, including efficient and cost-effective long-term support. We find all the vulnerabilities in your network before attackers can sabotage your business or steal confidential data. Plan, build and manage a strategic security organization that enables your business. Go beyond SIEM with Unified Security Management. You’ll obtain centralized security monitoring of your cloud, on-premises and hybrid environments all from one single pane of glass. Discover all the assets in your cloud and on-premises environments in minutes and get visibility into the vulnerabilities and active threats against them. An integrated view of all information security activities that enable you to reduce risk, demonstrate business value, and optimize your people, processes, and technology. AlienVaultUSM combines network behavioral analysis with service availability monitoring. You’ll obtain a complete picture of any system, service or network anomalies. Designing and building practical, effective and measurable security programs that ensures your security success. Fortifies your environment and improves compliance with industry regulations by providing a comprehensive assessment of each vital aspect of your security program. CyberSheath integrates your compliance and threat mitigation efforts and eliminates redundant security practices that don’t improve and in fact may weaken your security posture. Our professionals tell you where to stop spending, where to invest, and how to take what you are already doing and integrate it in a way that delivers improved security.